Travel with Scholastic Journeys and explore the diverse African American history and cultural sites in Washington, D.C. and New York City. 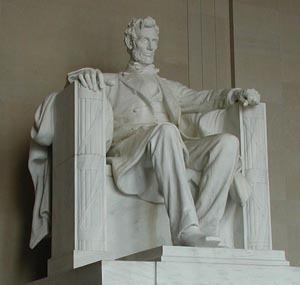 See the historic and noted monuments in these two great cities. Tour the Frederick Douglas National Historic Site (Cedar Hill); stop at the Martin Luther King, Jr. Memorial Library; tour Capitol Hill; visit the National World War II Memorial; tour the National Museum of African Art; take an African American Focus tour of New York City including The Schomburg Center for Research in Black Culture, Backstage of the Apollo Theater, and historic Harlem. Ride the ferry to Ellis Island and the Statue of Liberty. Visit the Empire State Building. Take a guided tour of downtown New York. This and much more await you on your tour to these two great American cities. There are numerous tour options in New York City that can be included or substituted for suggested features in this tour. Please contact us for more information. We are experts in customized student tours. · National World War II Memorial; Vietnam Veterans Memorial; Lincoln Memorial; and Korean War Veterans Memorial. · Ford's Theater and Peterson House.